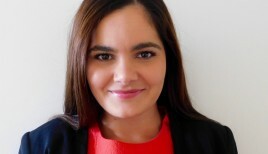 Carlie Bender is a Director of the Australian Indigenous Education Foundation and an AIEF Alum. 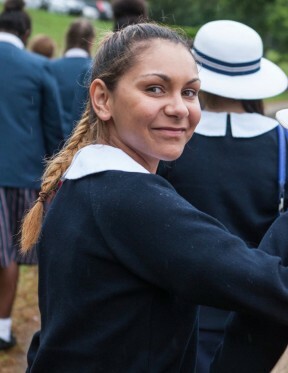 Carlie, a proud Gumbaynggirr woman from Bowraville on the north coast of NSW, completed her secondary education at AIEF Partner School St Vincent’s College, Potts Point in 2008. She holds a combined Bachelor of Arts/Law degree from the University of New South Wales. In 2015, Carlie completed a Graduate Diploma of Legal Practice at the College of Law and was admitted as a Lawyer of the Supreme Court of NSW. Carlie has worked throughout her time at university including in roles at AIEF, AIEF Corporate Partner Allens and the UNSW Faculty of Law. Since completing University, currently working as a lawyer at SBS. Rob Coombe is a Director of the Australian Indigenous Education Foundation and Chair of AIEF's Investment Committee. Rob is currently the Executive Chairman of the ASX listed Austock Group, a financial services business focussed on generational financial solutions. He is also Chairman of Craveable Brands, the largest Australian owned Quick Service Restaurant business. He was the CEO of Craveable Brands between 2013 and April 2017. Before joining Craveable Brands, Rob was responsible for all of Westpac's Retail, Business and Agri banking operations throughout Australia. Prior to this role, Rob spent 6 years as the CEO of BT Financial Group, responsible for all of Westpac’s funds management, financial planning, insurance, private banking, broking, platform and superannuation businesses in Australia. In total, he has over 35 years corporate experience in both Australia and Asia. Rob is a member of the Advisory Boards of both the UTS Faculty of Law and 5V Capital Investors and a Director of CIMB Group, one of the largest universal banks in the ASEAN region. Greg Cooper is a Director of the Australian Indigenous Education Foundation, a member of AIEF's Investment Committee and Former Chief Executive Officer of Schroder Investment Management Australia Limited, a position he has held since September 2006. Greg is also responsible for Schroders Institutional Business Globally. Prior to joining Schroders in 2000 he was the Head of the actuarial and asset consulting practice for Towers Perrin in Asia, he has also worked in the UK, Hong Kong and Singapore. Greg commenced his investment career in 1992. He is a Fellow of the Institute of Actuaries of Australia and the UK, Board Member of the Financial Services Council, Director of Schroder Investment Management Singapore Limited and holds a Bachelor of Economics (Actuarial Studies) from Macquarie University. Helen McCabe is a Director of the Australian Indigenous Education Foundation and Digital Content Director at Nine Entertainment Co. She also makes regular appearances on the Today Show, The Project, and 2GB. Helen was formerly the editor-in-chief of The Australian Women’s Weekly which she joined after 12 years in newspapers working as the Deputy Editor of The Sunday Telegraph, Night Editor of The Australian and a number of roles on The Daily Telegraph. She has also reported from London where she was the European Correspondent for News Ltd. Helen began her career in Adelaide television before moving to Canberra Press Gallery with the Seven Network. She is also on the board of the Garvan Research Foundation and is an Ambassador for Adopt Change. Michelle Penfold is a co-founder of AIEF and former CEO of the Australian Chamber of Commerce in Hong Kong (AustCham), the largest Australian business organisation outside of Australia, representing over 1,000 Australian businesses across Greater China. Michelle began her career in the hospitality industry and spent eight years working in hospitality management in Sydney, London and Hong Kong after completing a Bachelor of Arts (Communications) at The University of Technology, Sydney in 1988, majoring in Journalism and Political Studies. As a Founder and Director of AIEF Michelle is responsible for all stakeholder relationships and engagement, as well as internal and external communications including media and marketing and events. Andrew Penfold AM is Executive Director of the Australian Indigenous Education Foundation (AIEF) and a member of AIEF’s Investment Committee. Andrew sits on the National Apology Foundation for Indigenous Australians (NAFIA) Board and in 2014 he was appointed a Member of the Order of Australia for significant service to the Indigenous community. 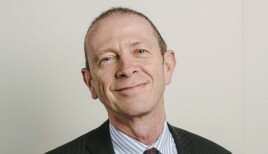 A former finance lawyer and investment banker with 20 years’ experience working in leading international firms in Sydney, London and Hong Kong, Andrew left the business world in 2004 and spent five years working on a full-time, voluntary basis for a range of non-profit and charitable organisations, before establishing AIEF in 2007. Andrew participated in the Indigenous Australia stream of the Australia 2020 Summit in Canberra in April 2008 and received a Leadership Award from the Prime Minister at the Australian Davos Connection in 2008. He was also one of the 2009 True Leaders in the annual Australian Financial Review Boss Magazine award, was a finalist for Australian of the Year in 2010 and was nominated by The Australian for its Australian of the Year award in 2012. In 2013 Andrew received the inaugural NSW Human Rights Award, assuming the role of NSW Human Rights Ambassador, and an Order of Merit from the Australian Institute of Company Directors, the highest award issued by the organisation. In the same year he received the 2013 Community Alumni Award and the 2013 Chancellor’s Award for Excellence from the University of Technology, Sydney. As the winner of the 2013 Chancellor’s Award for Excellence, Andrew became a member or the UTS Luminaries, a select group of UTS graduates with a sustained record of outstanding achievements. 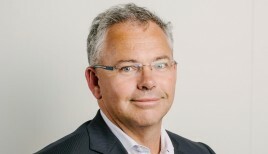 Greg Cooper is a Director of the Australian Indigenous Education Foundation, a member of AIEF's Investment Committee and Chief Executive Officer of Schroder Investment Management Australia Limited, a position he has held since September 2006. Greg is also responsible for Schroders Institutional Business across Asia Pacific, including institutional teams in Singapore, Hong Kong, Taiwan, South Korea, Indonesia and Japan. Prior to joining Schroders in 2000 he was the Head of the actuarial and asset consulting practice for Towers Perrin in Asia, he has also worked in the UK, Hong Kong and Singapore. Greg commenced his investment career in 1992. He is a Fellow of the Institute of Actuaries of Australia and the UK, Chairman of the Financial Services Council and holds a Bachelor of Economics (Actuarial Studies) from Macquarie University. John Schaffer is a member of the Australian Indigenous Education Foundation’s Investment Committee and an AIEF Ambassador. John graduated with degrees in commerce and law in 1979 at the University of New South Wales and his career has spanned tax consulting (Arthur Andersen, KPMG) corporate finance (Citibank) and financial research (Davey & Associates). In 1989, he co-founded asset consultancy Intech, which grew to become one of Australia's leading institutional investment advisory consultancies. More recently, John founded Catallyst Advisors which provides institutional third-party marketing services. Andrew Penfold AM is the CEO of the Australian Indigenous Education Foundation and a member of AIEF’s Investment Committee. 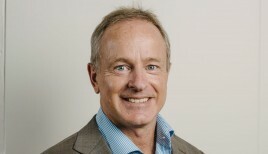 A former finance lawyer and investment banker with 20 years’ experience working in leading international firms in Sydney, London and Hong Kong, Andrew left the business world in 2004 and spent five years working on a full-time, voluntary basis for a range of non-profit and charitable organisations, before establishing AIEF in 2007. Andrew participated in the Indigenous Australia stream of the Australia 2020 Summit in Canberra in April 2008 and received a Leadership Award from the Prime Minister at the Australian Davos Connection in 2008. He was also one of the 2009 True Leaders in the annual Australian Financial Review Boss Magazine award, was a finalist for Australian of the Year in 2010 and was nominated by The Australian for its Australian of the Year award in 2012. In 2013 Andrew received the inaugural NSW Human Rights Award, assuming the role of NSW Human Rights Ambassador, and an Order of Merit from the Australian Institute of Company Directors, the highest award issued by the organisation. In the same year he received the 2013 Community Alumni Award and the 2013 Chancellor’s Award for Excellence from the University of Technology, Sydney. As the winner of the 2013 Chancellor’s Award for Excellence, Andrew became a member or the UTS Luminaries, a select group of UTS graduates with a sustained record of outstanding achievements.